Are you planning to start a food business in Kolkata? If yes, then you have taken the right decision as food business or sector has been one of the high-growth and high-profit sectors in India and world as well. So, Chaat ka Chaska is offering street food franchise business opportunity in Kolkata for all those who are looking to start their own business. With Chaat Ka Chaska franchise in Kolkata you can serve the street foods in hawker style but are hygienically prepared and served. Chaat Ka Chaska is a venture of Brewbakes Cafe one of India’s leading coffee cafe and food business franchiser in India, now offering street food and chaat franchise business opportunity in Kolkata. If you are one of those who is keen on opening a food store in Kolkata then, Chaat Ka Chaska street food franchise is a golden opportunity for you. Why Chaat Ka Chaska Franchise in Kolkata? The City of Joy, Kolkata is the capital city of West Bengal state and one of the most largest and populated cities in India. The city is not popular as a tourist destination in India but also an educational hub. Kolkata is just like Mumbai for Bengali movies. So, it is the home town of many Bengali film celebrities and also many other professionals who have settled here to work with big industries and multinational companies. Due to many institutions, colleges and universities the city is home to many students and they can be your potential customers for your Chaat Ka Chaska street food store in Kolkata. Apart from these Kolkata is a heaven for the foodies and especially for people with sweet tooth. 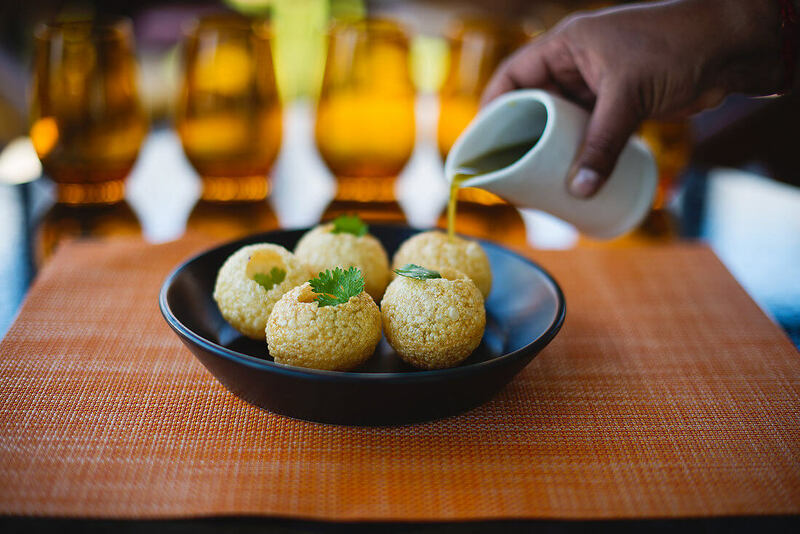 Kolkata is famous for so many delicious cuisines but what is more tempting and mouthwatering here, is the Panipuri which is called as ‘Puchka’ in Kolkata. Other people may like to eat these street foods but people of Kolkata are just in love with these foods and Chaat Ka Chaska serves these delicacies only that are prepared through finest quality ingredients. So, opening a Chaat Ka Chaska street food store in Kolkata will be a wise decision for all those who are looking for starting a business with low investment. Chaat ka Chaska serves delicious chaats and mouthwatering street foods ranges varieties from different parts of the country. We serve the street foods in hawker style but all the items are prepared through finest quality ingredients. The foods are hygienically prepared and served. So, Chaat Ka Chaska street food franchising will be a very safe business for you. You can become your own boss by opening Chaat Ka Chaska street food franchise store in Kolkata. We are offering excellent franchise support with pre-opening support, extensive marketing strategy and solid business plans to make your franchise business successful. So, if you are keen to open your own food business franchise store in Kolkata and want to become your own boss then, don’t miss the Chaat ka Chaska street food franchise opportunity and become a member of India’s leading and growing food business family.